Intelligent features for better fabrication. Our new hydraulic press brakes include a 2 axis NC control and highly accurate motorised backstops to improve productivity and reduce wastage. Premium components and a high build quality make this press brake a dependable work horse for high volume, mid to low mix bending for your fabrication works. 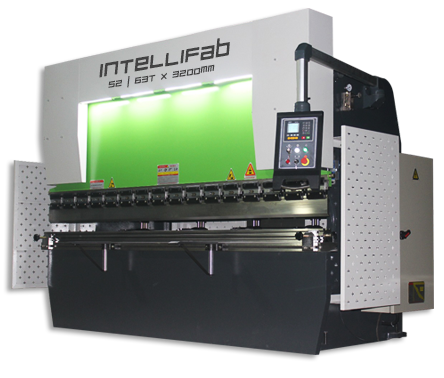 When designing IntelliFab Series Two, we started with the goal of achieving a high performance hydraulic press brake, at a reasonable cost. We then gathered feedback from our clients on what mix of features and components mattered most to them in a hydraulic press brake that didn’t break the bank. The result is IntelliFab Series 2 - our no nonsense, high performance press brake delivering the right quality, at the right price. The same premium build quality you find on our Series 1 and synchronised CNC hydraulic press brakes. High quality components throughout - hydraulics, pump, electrics, motor, cylinders, control, backstop fingers and tooling are all selected for the highest performance at this price point with most spares readily available in South Africa. Intelligent approach to the operator’s needs, such as easy to understand and flexible NC control, fast, accurate backstop, quick release tool clamps, adjustable front support arms, quick release height adjustable fingers, full height side and rear safety guards and more. Full length mechanical crowning as standard - from 2500mm bed length. Control: E21 NC pendant control with 40 programs, 25 steps per program and quick bend functions. Foot pedal: Up and down, with safety switch. Fingers: Quick release, flip up, multi-level backgauge fingers with R axis height adjustment. 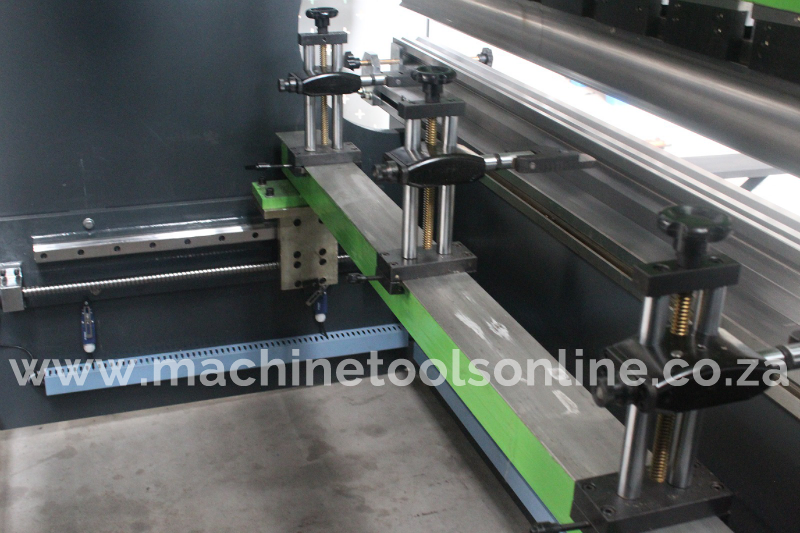 Workpiece support: Adjustable left, right, up and down front support arms.